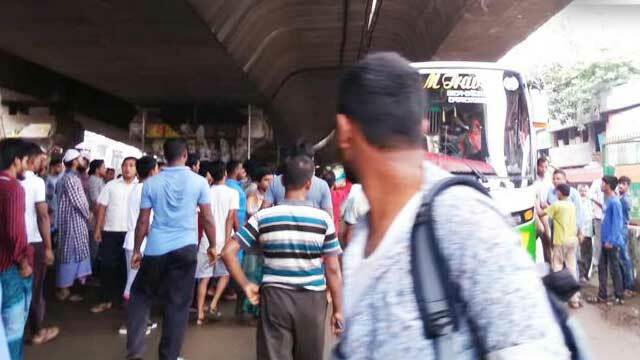 Dhaka, Aug 3 (Just News): People continued to suffer for the 6th consecutive day in the capital on Friday as transport workers refrained from operating buses fearing vandalism by students demanding safe road and punishment of those responsible for the death of their two fellows in a recent road crash. The transport workers took position on the roads and staged demonstrations in the city's Saidabad, Gabtoli, Mohakhali and Jatrabari bus terminal areas on Friday morning demanding their safety. Many people were seen moving on foot and some taking rickshaws to reach their destinations.